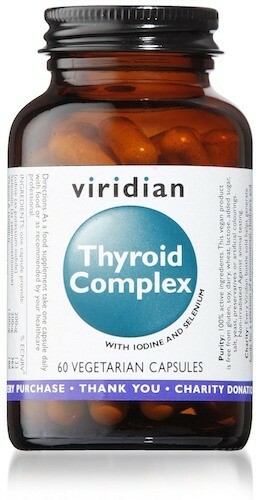 Thyroid Complex with iodine and selenium, which contribute to normal thyroid function and vitamin B1, which contributes to the reduction of tiredness and fatigue. In addition, provision of nutritional co-factors and olive leaf extract. As a food supplement take one capsule daily with food or as recommended by a healthcare professional.